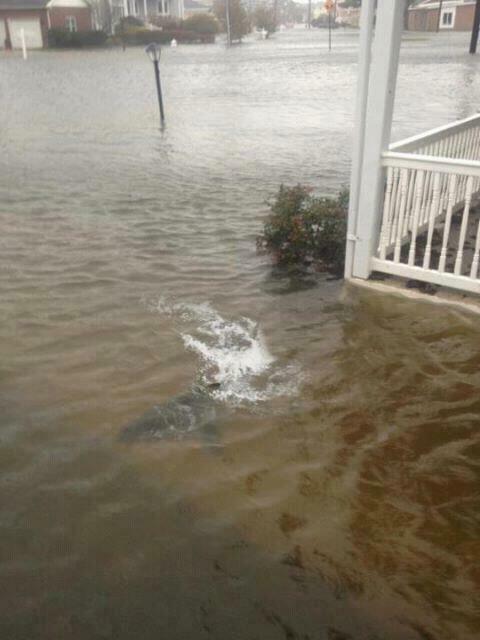 As I write, the east coast is getting hit with one of the biggest storms ever to hit the region. Hurricane Sandy also called "Frankenstorm" made its way up the Atlantic and is now veering west into the northern eastern states. 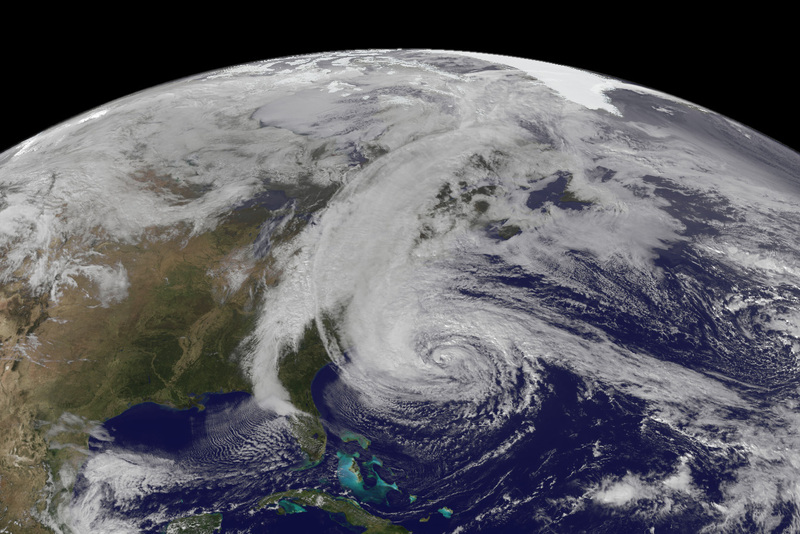 With winds over 80 MPH and heavy torrential rain, Sandy will bring about much destruction and most likely loss of life. If things could not be worse, a full moon is out that will increase tides causing massive surges and flooding which these areas are not prepared to handle. New York City, a city that has been dubbed "the city that never sleeps" is indeed laying low. 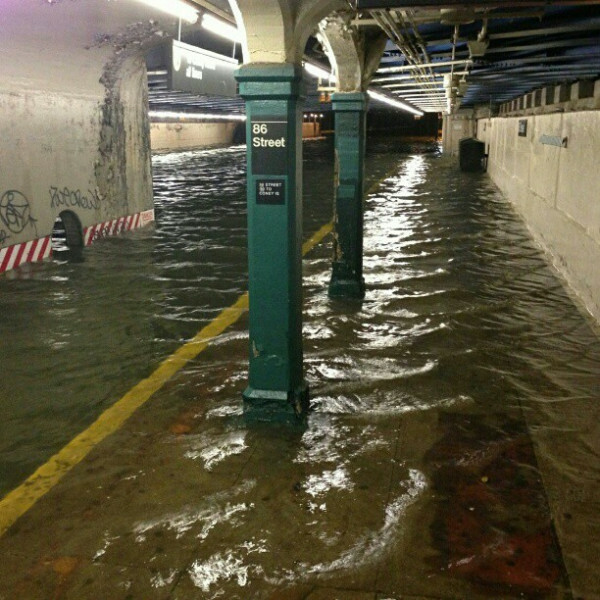 The MTA suspended all buses and trains. Bridges are also shut down. Those in areas prone to flooding were ordered to evacuate with stern warnings of arrest and charges of misdemeanor. Cabs both yellow and livery were ordered off the streets to allow emergency vehicles to pass with ease. Drivers were also told to stay home. The storm was expected to hit the area Sunday night but is moving slower than expected adding to the expectancy of even more severe damage. 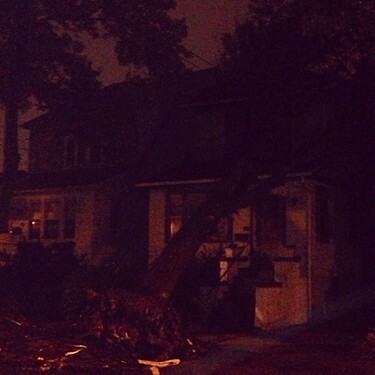 Trees are being snapped in half or uprooted, millions are without power. Half of the city of Hoboken is without electricity and is flooded. A power-plant in lower Manhattan exploded. A nuclear power plant in upstate has taken in water and officials are worried it might explode as well causing literally an atomic bomb affect throughout New York. 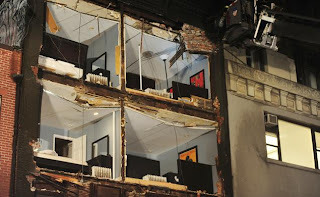 A building on 8th avenue collapsed in Manhattan as well. Con Ed cut power to areas below 40th street. A crane near Carnegie hall broke apart and is dangling. 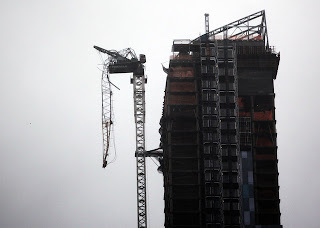 A landmark Ferris wheel in New Jersey came down as well. 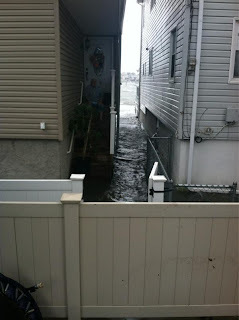 Part of the board walk at Atlantic City floated away. 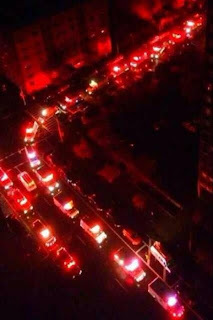 NYU hospital lost power and is evacuating over 200 patients including newborns down 25 flights of steps in darkness. Bellevue hospital is also reporting that it is about to lose power. Coney Island hospital has lost power and is preparing to evacuate patients. Schools and Colleges throughout the area are closed and people are advised to stay home. The storm has already cost many lives including that of 2 children who were killed when a tree fell on their home as they played. Please keep the east coast in your prayers and assist the Red Cross and other charities as those affected work to get back to normal. I will update this blog as more info become available. Lord God, creator of all seen and unseen, nothing is impossible for you. Nature obeys at the sound of your word. 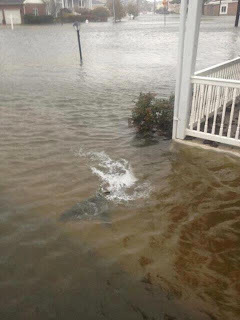 People are suffering with Hurricane Sandy. I ask for mercy during this time. I understand that storms are a part of nature, but please spare us from the dangerous aspects of them. Our nation, and our states have gone far from your will by promoting a culture of death, perversion of marriage, promiscuity of youth, and a rejection of new life. Our nation and our states even pass laws attempting to silence your Word and the defense of life, morality and marriage. Nevertheless, with your grace and love, man always returns to you. Please have mercy on us all. Allow nature's tempests to sustain life without destroying it. I pray for those who are suffering now. For those without food, water and shelter. For those without power especially the elderly and sick who need it to maintain life aiding machines. I pray for those who are alone now, those who are scared and don't know what the future will bring. I pray for those who are hurt and may have died. Have mercy on us all.